Azealia Banks is in hot water with the entire Irish population after calling Irish women “Oompa Loompa looking” and tweeting a series of discriminatory comments. 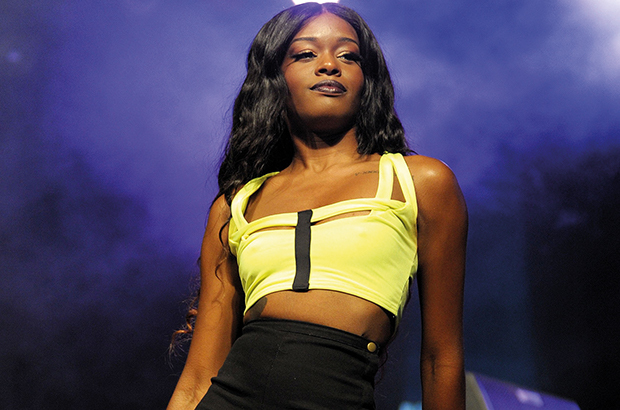 The singer and rapper, originally from New York stormed off an Aer Lingus flight after an altercation with a flight attendant in which Banks says she was “treated like a wild animal”. Banks was on her way to Dublin for a gig in The Academy on January 23 when she left the flight before takeoff. She posted a number of videos after storming out saying she “had worked too hard in [her] life to be cornered by some ugly b**ch … like these f**king ugly Irish women”. Her concert still went on and Banks played to a sold out crowd at The Academy. However, the day after her concert it seems Banks may have taken her social media rants a step too far. This time she took to the Instagram comment section asking the Irish population “Don’t you all have a famine to go die in or something?” and calling Ireland a nation of inbreds. This isn’t the first time Banks has landed herself in hot water. She has had a tumultuous career from the outset. Her debut single ‘212’ was released in 2012 and its explicit lyrics and catchy tune quickly launched Banks to the top of the charts and into the public eye. It seemed that Banks was destined to be the next big star, she was outspoken, charismatic and had an undeniable talent for both rapping and singing. However her first album, titled ‘Broke with Expensive Taste’ was not released until two years later in 2014 and at this stage the hype surrounding ‘212’ had all but completely died out, leaving her with only a small remaining fan base to appreciate her new music. There was also a new kind of pop star on the scene, one who kept their image squeaky clean and engaged directly with their fans through social media, developing a personal and meaningful relationship with them. Banks, who is typically crude and outspoken, just didn’t fit into this new bubblegum persona. Overall Banks’ online presence has been a lot more feuding than befriending. She has attacked a number of her fellow musicians with Zayn Malik, Kendrick Lamar, Lady Gaga and Lana Del Ray, as well as many more, being called out by her at some stage. Her feuding with Zayn Malik even led to Banks’ twitter account being suspended for a time following a string of racist tweets directed at Malik. The artist’s most recent onslaught against Ireland begs the question of whether all publicity is good publicity. She may have built a career off of controversy but is alienating an entire country just a step too far? There has even been a threat of legal action by a barrister in the UK who said Banks could be prosecuted under the Communications Act 2003 for her bigoted comments. Despite her tweets Banks’ performance at the Academy in Dublin was completely sold out however many of her later UK dates still have tickets available. It seems that now Banks is doing anything to grab the public’s attention and remain relevant but it’s not working anymore. Without the chart topping songs to back them up her words fall on deaf, and worse still, angry ears.